We were asked to supply and fit artificial grass at this beautiful house in Horton Kirby, Kent. The current back garden lawn had pretty much been destroyed by the kids and dogs and the owner was unable to rejuvinate it because much of it was covered by shade from the surrounding trees and bushes. 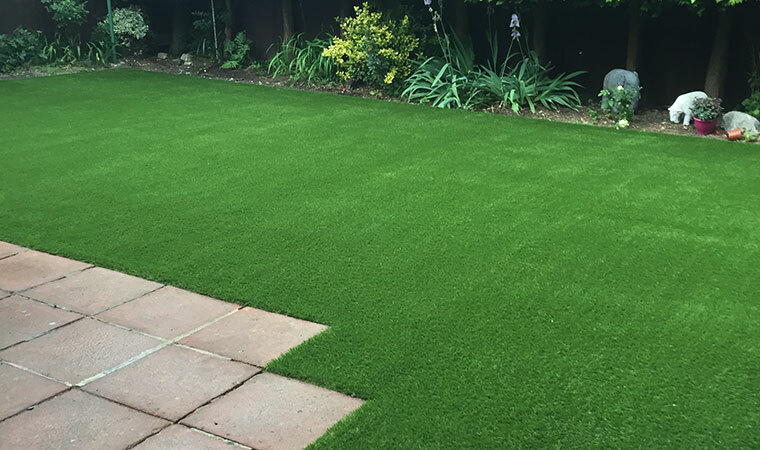 The best option was artificial grass. To provide a solid base and good drainage for the new lawn 8 tonnes of aggregates were compacted down inside timber fixings. The grass fitted was the Knoll which was securely fastened to the fixings. 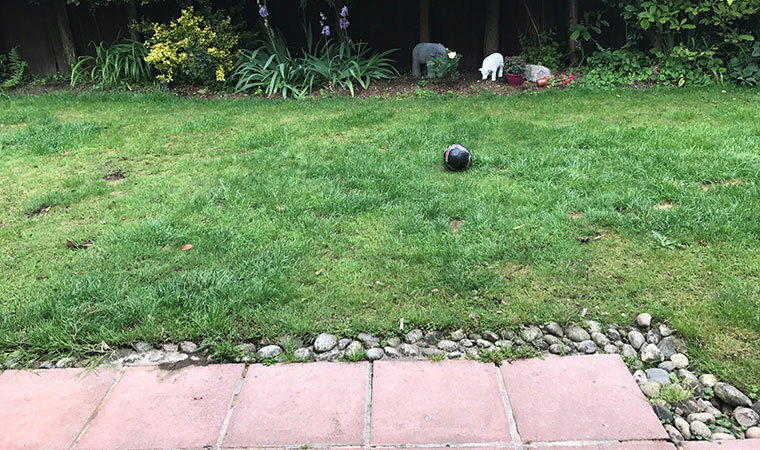 The end result was a soft, realistic looking lawn which would withstand everything the kids and dogs could throw at it.